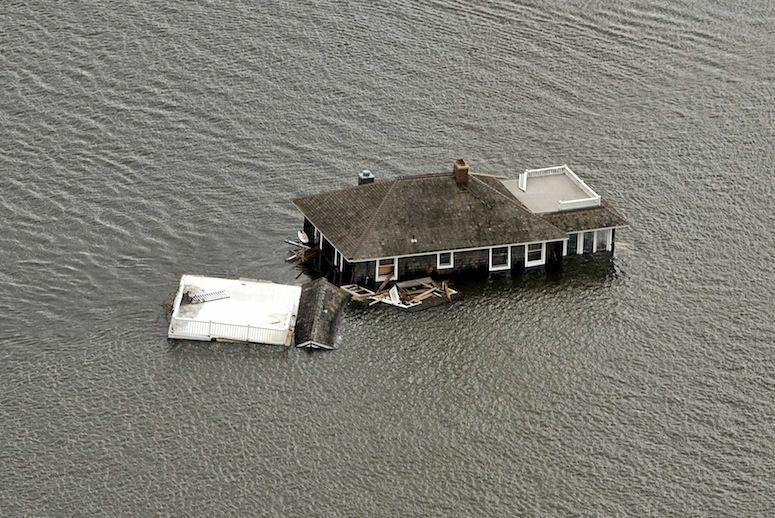 Science and politics are both in play as scientists warn of dire sea-level rise. James Hansen is one of the most respected and recognizable names in climate science. When this ex-NASA researcher speaks, reasonable people listen. That good reputation has made his latest research finding that much more frightening. That good reputation has made his latest research finding that much more frightening. According to a new paper by Hansen and 16 equally expert coauthors, seas could rise by 10 feet within 50 to 85 years, making coastal communities and cities worldwide uninhabitable. Whether this is good or bad depends on what you think and believe about the intersection of science and climate change with politics. But this much is true: The international climate action process has not slowed global warming. And Hansen and colleagues have been transparent about their motivations.is one of the most respected and recognizable names in climate science. When this ex-NASA researcher speaks, reasonable people listen. So, Why Should You Care? That’s much sooner than the forecast of the Intergovernmental Panel on Climate Change, the climate science group of the United Nations, which informs international climate treaty negotiations. IPCC scientists predict sea levels could rise to 2.6 feet by 2100, much lower and later than the Hansen report’s projections. Hansen and colleagues concluded that to avoid this crisis, global temperature rise must be kept at 2.7 degrees Fahrenheit (1.5 degrees Celsius) or lower, rather than the informal international target of 3.6 degrees Fahrenheit (2 degrees Celsius). RELATED: Sea-Level Rise Poses Hard Choice for Two Neighborhoods: Rebuild or Retreat? To make that happen, nations would need to slash fossil fuel use nearly to zero within 30 years. In June, the G-7 major industrialized nations, including the United States, Canada, Japan, the United Kingdom, and Germany, committed to fully phasing out coal, oil, and gas-fueled energy by 2100. Here are three things to keep in mind about Hansen’s worrying new study. 1. This research paper hasn’t been peer-reviewed—yet. The peer-review process for traditional scientific journals is meant to weed out poor research from stronger. It’s not a perfect process, but it’s valuable, and it can take many months to play out. So Hansen and colleagues intend to release their work this week in Atmospheric Chemistry and Physics Discussion, an open-access journal where peer review happens after publication, in public. Putting the findings out ahead of peer review isn’t traditional for scientists of Hansen’s stature and has increased the buzz around the paper and its conclusion about catastrophically high seas in less than a century. 2. A consensus among scientists regarding the study’s conclusions about ice melt and sea-level rise hasn’t been reached. Scientists are still learning how to judge the speed at which the world’s land-bound ice is melting and will continue to melt in coming decades and centuries. We’re also still remarkably ignorant about the oceans, including how currents are affected by changing water conditions. All these unknowns make melting glaciers and sea-level rise contested arenas in the research world, with significant disagreements among respectable experts over whose ideas are wrong and whose are right. That’s how science rolls. To reach their conclusions, Hansen and colleagues looked at recent figures on the faster-than-anticipated rate at which the Greenlandic and Antarctic ice caps are melting. They also looked at modeling data and the prehistoric record for the last time Earth’s surface temperatures were as warm as they are now—and sea levels were 30 feet higher. Based on what those data showed, the authors posit that if the world stays on its course of 3.6 degrees Fahrenheit in temperature rise, contemporary ice caps could hit a tipping point and melt exponentially faster than the more linear rate projected by the IPCC. This isn’t a conclusion that a majority of climate scientists and ice experts yet accept, but it’s an analysis that warrants consideration. 3. Hansen and colleagues stated plainly that they published their findings quickly, before peer review, to influence the outcome of the December international climate treaty conference in Paris. Already some informed observers are suggesting that the unorthodox publishing approach may backfire. Whether this is good or bad depends on what you think and believe about the intersection of science and climate change with politics. But this much is true: The international climate action process has not slowed global warming. And Hansen and colleagues have been transparent about their motivations.